Categories: Allergic disorders, Arthritis, S, Skin conditions, Taj Brands, ulcerative colitis. Tags: Allergic disorders, Arthritis, S, Skin conditions, ulcerative colitis. 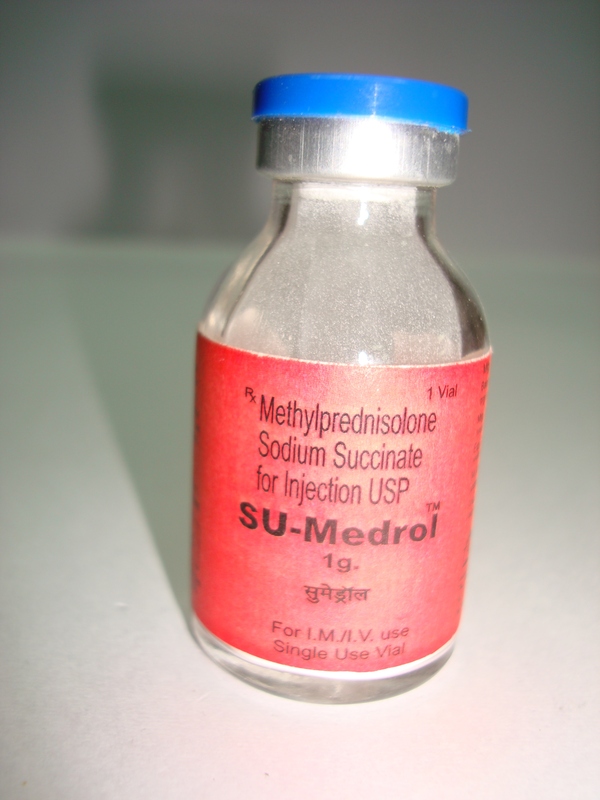 Methylprednisolone belongs to a group of medicines called corticosteroids or steroids. Corticosteroids are produced naturally in your body and are important for many body functions. •	Bursitis: inflammation in the fluid containing spaces around the shoulder, knee and/or elbow joints. For this condition this medicine will be injected directly into one or more of these spaces. •	Osteoarthritis and rheumatoid arthritis: inflammation located in between the joints. For these conditions this medicine will be injected directly into one or more joint spaces. •	Plantar fasciitis: inflammation of the tissues of the sole of the foot. •	Skin problems: such as alopecia areata (patchy baldness), keloids (scar tissue), lichen planus or simplex (small, purplish raised patches of skin or spots), discoid lupus (round-shaped patches, often on the face) or granuloma annulare (circular warty growths). •	 Epicondylitis (tennis elbow) and tenosynovitis: For these conditions this medicine will be injected into the tendon sheath. Your doctor may use this medicine to treat conditions other than those listed above. Ask your doctor if you are unsure why you have been given this medicine. •	You think you have ever suffered an allergic reaction, or any other type of reaction after being given SU-MEDROL, or any other medicine containing a corticosteroid or any of the ingredients in this medicine (Section 6 of this leaflet contains a list of ingredients).An allergic reaction may cause a skin rash or reddening, swollen face or lips or shortness of breath. •	You get a rash, or another symptom of an infection. See your doctor immediately if you have any of the above. •	directly into a vein (intravenous), the spinal cord (intrathecal), the outer covering of the brain (extradural), into the nostrils (intranasal) or in the eye (intraocular). You must tell your doctor before you take this medicine if you have any of the following conditions. Your doctor may also have to monitor your treatment more closely, alter your dose or give you another medicine. •	Chickenpox, shingles or a herpes eye infection. If you think you have been in contact with someone with chickenpox or shingles and you have not already had these illnesses, or if you are unsure if you have had them. •	Severe depression or manic depression (bipolar disorder). This includes having had depression before while taking steroid medicines like Depo- Medrone, or having a family history of these illnesses. •	Glaucoma (increased pressure in the eye) or if there is a family history of glaucoma. •	You have recently suffered a heart attack. •	Muscle problems (pain or weakness) have happened while taking steroid medicines in the past. •	Myasthenia gravis (a condition causing tired and weak muscles). •	Thrombophlebitis – vein problems due to thrombosis (clots in the veins) resulting in phlebitis (red, swollen and tender veins). You must tell your doctor before you take this medicine if you have any of the conditions listed above. Always tell your doctor or pharmacist if you are taking any medicines (including any you have bought without a prescription) as taking SU-MEDROL with other medicines could be harmful. •	Diuretics – sometimes called water tablets. Before you have any operations tell your doctor, dentist or anesthetist that you are taking this medicine. If you require a test to be carried out by your doctor or in hospital it is important that you tell the doctor or nurse that you are taking SU-MEDROL. This medicine can affect the results of some tests. You must tell your doctor if you are pregnant, think you might be pregnant or are trying to become pregnant as this medicine could slow the baby’s growth. Tell your doctor if you are breast feeding as small amounts of corticosteroid medicines may get into breast milk. If you continue breast-feeding while you are having treatment, your baby will need extra checks to make sure he or she is not being affected by your medicine. There are no special precautions while you are being treated with this medicine. Your doctor/nurse will tell you how many injections you will require for the condition you are being treated for, and when you will get them. Joint injections may be given weekly over a period of several weeks, depending on how quickly you respond to treatment. Bursitis and epicondylitis (tennis elbow) – the usual dose is between 4-30 mg (0.1 – 0.75 ml). In most cases repeat injections will not needed for bursitis and epicondylitis. If you think you have been given too many injections of this medicine please speak to your doctor immediately. 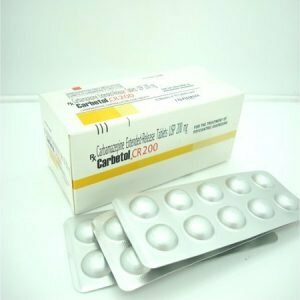 •	already have problems with your adrenal glands (adrenocortical insufficiency) before you started this treatment. You will need to come off this medicine slowly to avoid withdrawal symptoms. These symptoms may include itchy skin, fever, muscle and joint pains, runny nose, sticky eyes, sweating and weight loss. 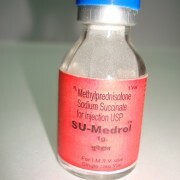 Like all steroids this medicine can cause side-effects, although not everybody gets them. Your doctor will have given you this medicine for a condition which if not treated properly could become serious. •	Allergic reactions, such as skin rash, swelling of the face or wheezing and difficulty breathing. This type of side effect is rare, but can be serious. •	Acute pancreatitis, stomach pain spreading to your back, possibly accompanied by vomiting, shock and loss of consciousness. •	Burst or bleeding ulcers, symptoms of which are severe stomach pain which may go through to the back and could be associated with bleeding from the back passage, black or bloodstained stools and/or vomiting blood. •	Infections. 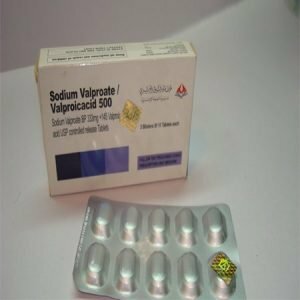 This medicine can hide or change the signs and symptoms of some infections, or reduce your resistance to the infection, so that they are hard to diagnose at an early stage. Symptoms might include a raised temperature and feeling unwell. Symptoms of a flare up of a previous TB infection could be coughing blood or pain in the chest. This medicine may also make you more likely to develop a severe infection. •	Pulmonary embolus (blood clot in the lung) symptoms include sudden sharp chest pain, breathlessness and coughing up blood. •	Raised pressure within the skull of children (pseudotumour cerebri) symptoms of which are headaches with vomiting, lack of energy and drowsiness. This side-effect usually occurs after treatment is stopped. •	Thrombophlebitis (blood clots or thrombosis in a leg vein), symptoms of which include painful swollen, red and tender veins. •	Nausea (feeling sick) or vomiting (being sick). •	Ulcers or thrush in the gullet (discomfort on swallowing). •	Glaucoma (raised pressure within the eye, causing pain in the eyes and headaches). •	Swollen optic nerve (causing a condition called papilloedema, and which may cause sight disturbance). •	Damage to the optic nerve or cataracts (indicated by failing eyesight). •	Thinning of the clear part at the front of the eye (cornea) or of the white part of the eye (sclera). •	Worsening of viral or fungal eye infections. •	Protruding of the eyeballs (exophthalmos). •	Slowing of normal growth in infants, children and adolescents which may be permanent. •	Increased appetite and weight gain. •	Prolonged therapy can lead to lower levels of some hormones which in turn can cause low blood pressure and dizziness. This effect may persist for months. •	The amount of certain chemicals (enzymes) called alanine transaminase, aspartate transaminase and alkaline phosphatase that help the body digest drugs and other substances in your body may be raised after treatment with a corticosteroid. The change is usually small and the enzyme levels return to normal after your medicine has cleared naturally from your system. You will not notice any symptom if this happens, but it will show up if you have a blood test. •	Brittle bones (bones that break easily). •	Torn muscle tendons causing pain and/or swelling. •	Muscle cramps or spasms. •	Swollen or painful joints due to infection. These are common in both adults and children. They can affect about 5 in every 100 people taking medicines like methylprednisolone. •	Feeling depressed, including thinking about suicide. •	Feeling high (mania) or moods that go up and down. •	Feeling anxious, having problems sleeping, difficulty in thinking or being confused and losing your memory. •	Feeling, seeing or hearing things which do not exist. Having strange and frightening thoughts, changing how you act or having feelings of being alone. •	Other nervous system side effects may include breathing problems, convulsions, dizziness, drowsiness, difficulty breathing, sensation of cold, heat or numbness, tinnitus or unconsciousness. •	Thinning of skin with stretch marks. •	Small purple/red patches on the skin. •	Pale or darker patches on your skin, or raised patches which are an unusual color. This medicine must not be used after the expiry date ‘EXP’ shown on the container. The doctor or pharmacist will keep the medicine in a safe place where children cannot reach or see it. This medicine must be stored in a cool place, but must not be frozen. Each millilitre of this medicine contains 80 mg of Methylprednisolone Acetate as the active ingredient. This medicine also contains sodium chloride, polyethylene glycol, myristyl-gamma picolinium chloride and water for injection. 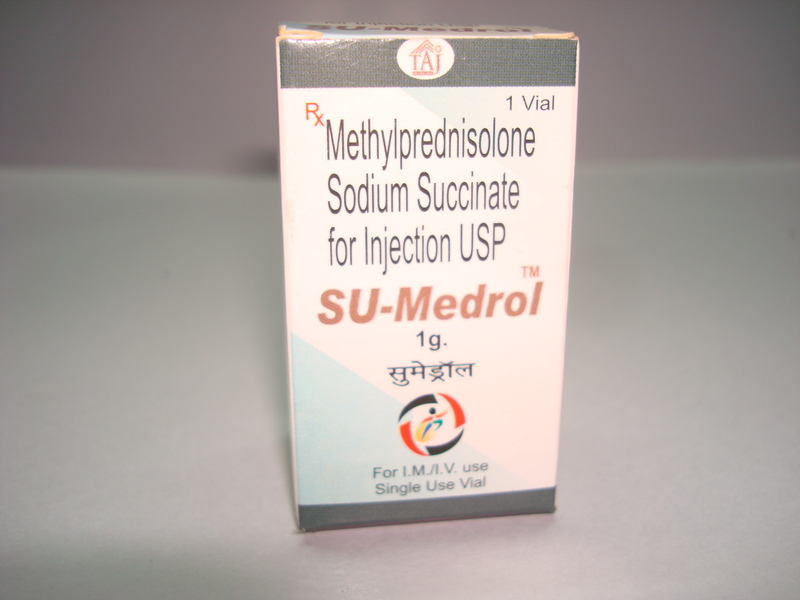 SU-MEDROL is a sterile suspension for injection contained in a glass vial fitted with a rubber cap and metal seal. 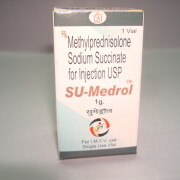 SU-MEDROL is available in packs containing 1 or 10 vials, containing 1 ml, 2 ml or 3ml of suspension.